Jenkins World, at the end of the month, promises to be the biggest and best yet. There could be upwards of 2,000 people at this year’s event. With a schedule full of training, sessions, keynotes and more, it is a don’t-miss event if you are into Jenkins, DevOps, CD and more. We sat down with Cloudbees CEO Sacha Labourey to discuss a Jenkins World preview. Sacha has guided Cloudbees on its journey in working with the Jenkins community while making the value of the Cloudbees offerings readily apparent. His past experience with JBoss has helped much. There is a Q&A with Sacha that we did as well, which has a lot more information. As usual, the streaming audio of our conversation is below, followed by the transcript of our conversation. Have a read or listen and hope to see you at Jenkins World! Alan Shimel: Hey, everyone, Alan Shimel, DevOps.com here for another DevOps Chat, and today’s DevOps Chat is all Jenkins World all the time. I’m joined by none other than Sacha Labourey, Labourey – I messed it up, but we’ll let Sacha pronounce it correctly. I only know Sacha about three or four years now and still can’t pronounce his name correctly, but, more importantly, Sacha is the CEO and visionary behind CloudBees. Sacha, welcome to DevOps Chat. Sacha Labourey: Thanks a lot, Alan, and my last name is a disaster to say for English-speaking person, so it’s “Labourey” – think about “Labor Day” and remove the “D,” but even that is hard to compute fast, so you did well. Shimel: Okay. Labourey. So, Sacha, we’re gonna talk about Jenkins World, and, for those of our listeners who aren’t aware, Jenkins World 2017 is coming to San Francisco. It’ll be at the Marriott Marquis Hotel there, right in downtown. And the conference runs from August 28th through August 31st. There’s so much planned this year, but, Sacha, this is – what? – the third or four, maybe more, Jenkins World that you’ve done? Labourey: Yeah, actually, I was looking at some of the numbers. I remember the first edition, probably – I’m not even sure if it was called “Jenkins World” back then, but, in 2012, we had 200 persons attending and we’re extremely proud of this, obviously. If you remember, the Jenkins Project was relatively new – it had just changed names in 2011 – so 2012 was 200 people. And, this year, we’re expecting at least 10X that number, so it’s gonna be a massive event in San Francisco. Labourey: I think so, yes. Shimel: Yep. And, even comparing last year, Sacha, to this year, I think – I mean, last year was the biggest year ever done and I wanna say it was around 1,300, 1,400, something like that. Labourey: Yeah, absolutely. So it’s a big jump. You know, it’s almost 50 percent more than last year, so it’s a big step forward. Labourey: Yeah, you’re right. I think it’s like the perfect wind condition, you know? It’s, on one hand, you have DevOps maturing and being on everybody’s to-do lists, and so a lot of people wanna know more, wanna learn, want to share their experience. Jenkins is doing extremely well, as a project. Lot of new features in the last few years, you know, starting with Pipeline, Blue Ocean, and so on, so that makes it a very hot topic. And I think CloudBees, as you said, we’re doing extremely well as a company and we’re obviously extremely active in that field. We’re working a lot with the Jenkins community – I know you wanna talk about that, at some point – and so, yeah, I think it’s all of those different winds coming together and making that amazing conference. And, you know, we talk a lot about the numbers, right? Obviously, 2,000 people or above – it’s gonna be an amazing conference – but it’s also the quality of the content, the number of tracks and so on. This year is really gonna be a step up from last year, which was already an amazing conference. Shimel: Yep. Let’s talk about speakers and stuff for a second, if we can, Sacha. Obviously, you’re there and you will be doing one of the keynotes – I guess it’s the first day of the conference, right? The 30th? Labourey: Yeah, I’m gonna – yes. I’m gonna be one of the keynote, yes. Labourey: – from a content standpoint, obviously, like I try to do every year, we’re gonna be doing kind of a “state of the union” on what happened and where things stand, what we’ve learned, what works, what doesn’t work maybe, and show so a vision for the future. And the vision needs to be multiple years ahead, but it also need to be actionable, practical, and so we’re gonna be talking about some of the new things we’re gonna be announcing at Jenkins World, some amazing features. It’s gonna be great timing when you look at the maturity of DevOps itself. The type of requirements and needs from DevOps people also evolved with the other whole maturity of the space, and so I think we’re gonna have some pretty significant announcements that week that will fly very, very well with the community there. Labourey: Yeah. Every year, KK – so Kohsuke is doing his keynote and so he’s – I’m taking more of the business angle and the impact on the businesses; KK is obviously taking the community angle and the evolution of the project. And, when you look at KK, you see – you know, you perceive somebody who is not shy but pretty reserved, as a person, but I can tell you, when he’s on stage every year, it’s such a pleasure to see him there and make his status of the union, go through the numbers, and he’s a lot of fun. He’s really, really fun on those keynotes, so I’m really excited about this one. Shimel: Yeah. I mean, I’ve had the pleasure of watching KK present at a lot of the Jenkins Days and CD Summit roadshows that we did, over the last couple years. And I will tell you, you know, I think he kinda feeds off the members of the community and they, in turn, kinda feed off of him, so it is a great thing. I wanted to just also briefly mention another keynote speaker that you guys will be featuring at Jenkins World, and that’s my friend Jez Humble. Labourey: Yes, absolutely. Jez accepted to come and talk as a keynote speaker. Very excited as well. He makes great presentations. He has unique insights into this market, this transition, so I’m extremely excited about Jez Humble’s presence here. Shimel: Yeah. And, of course, Jez – I mean, Jez literally wrote the book Continuous Delivery, as well as the Lean Enterprise, and Jez is also a cofounder and, I think, working full time now with DORA, DevOps Research and Analysis, along with Gene Kim and Dr. Nicole Forsgren. So he had some great insight. You know, they surveyed something – I think it was 25,000 or 27,000 people over the last – or organizations over the last 4 or 5 years, and it really – I mean, again, great, great presentation. Sacha, if we can, while we’re on topic, you brought it up earlier or mentioned it, but I wanna really kinda bring it home for our audience, and that is that, yes, this is Jenkins World. It’s about Jenkins. Jenkins is an open-source project that, literally, millions of people are involved in, in one way or another. And CloudBees is intrinsically linked to Jenkins, right? But the relationship between CloudBees and Jenkins, Sacha, how do you explain it to our audience? Labourey: Yeah, you’re right. It’s a very important topic and I think we feed the community, the community feeds us. I think there is a very healthy relationship there. First, I think every company-slash-open-source-project behaves in a slightly different fashion. You know, I used to be at JBoss, at Red Hat, so we had already, in two companies, very different ways to interact with open-source communities and build a business on top. At CloudBees, I would say, we have yet another way to do that, and it’s really this church-and-state separation and the community’s the community. We obviously have an impact on the community because we’re pretty massive contributors to the project, but they are independent. They have their board; we provide requests that get approved or sometimes denied. So I think it’s very healthy to have this independent community and you can see it through the massive community beyond the Jenkins core itself, right? We’re talking about more than 1,400 different plug-ins, and each of those plug-ins are kind of like mini-communities around the project, so it’s a pretty massive ecosystem out there. And so, obviously, as a company, we leverage these install days and the power of this install days and help enterprises adopt Jenkins at scale and get insight into their installation and so on. But the community’s also benefiting a lot from, I think, CloudBees’ involvement. We’ve been massive contributors and initiators of projects like Pipeline; like Blue Ocean, the new user interface. If you look at some of the security issues that have emerged in Jenkins, much like in lots of Java programs out there, CloudBees has stepped up and spent – top quality engineers that have spent their weekends and weeks fixing a number of those. And that’s for the good of the community; that’s for the good of everybody. And, if CloudBees was not to do that, well, I’m not sure who else would be doing it, so I think, yes, there is a very healthy sharing taking place here, and I’m very proud we’ve been able to put that in place. Shimel: Excellent. Sacha, let’s turn a little bit – I said earlier on that the Jenkins World is August 28th through August 31st. The sessions, the keynotes, the exhibits – those are August 30 through 31st, but trainings and workshops actually start August 28th. And I wanna say the 30, 31st is a Wednesday, Thursday, and I believe the 28th is Monday, Tuesday. Shimel: And there’s a whole lineup of training – some of it’s sold out already, but there’s a whole schedule of, I think, Jenkins training, Jenkins certification, and not just one curriculum of the same class being repeated. There’s a deep bench of different Jenkins training sessions and workshops available, correct? Labourey: Yeah. And, last year, that was already a huge success, so, this year, we’ve made sure that we have even more training course available, even more seats, but that’s a big, big one. And think about it. Obviously, for people who live in San Francisco and the Bay Area, it’s a relatively easy one to attend Jenkins World – it’s almost like a no-brainer – but we actually have a pretty important number of people traveling from the US but also from APAC or from Europe, and, for those people, it’s very important to make sure that they, quote unquote, don’t “just” attend the conference, and, way this layout are just laid out, you have a way to get trained, to get ready to be certified, which is great for your career. You get to attend workshops. So it’s very hands-on. You really come back and learn, have something you can factually show on your resume to your boss and explain that you’re really, you know, one, two steps above from where you were the week before, so it’s a great combination to come the weekend before, spend a few days doing training and workshops, and then attend the conference, meet with people, share expertise and so on, so it’s an amazing pack, I think. Shimel: Yeah. No, it’s a great opportunity. I mean, I should also mention that the DevOs Institute, partnering with CloudBees, will be offering some certification classes on the 28th and 29th at Jenkins World as well. I think they’ re gonna be offering the continuous testing engineer class, taught by Mark Cornbee, who wrote the curriculum, and I think they might be debuting “DevOps Leader,” which is aimed for people who wanna lead the transformation, and that’s a great class as well. I’m not 100 percent sure. If you go to Jenkins World, to the website on CloudBees, the Jenkins World section, you could see the DevOps Institute classes, as well as all – and, as I said, there’s as deep bench of CloudBees and Jenkins training available the 28th and 29th, and there are some workshops as well, I believe, on the 30 and 31st, for maybe people who just can’t get there all four days. Sacha, I wanted to talk about some of the other sessions that are gonna be on for the 30 and 31st. One, you know, shameless, I’ll promote – I’m actually moderating a DevSecOps panel on the 31st. I believe it’s at 10:30 in the morning. And that one will feature Rob Stroud of Forrester – I think Rob’s gonna be on a number of panels and sessions at Jenkins World. I’ll also have several of my friends from the security community, including Pete Chestna of Veracode, Andrew Storms of New Context. I think Andrew Wallgren, CTO of Electric Cloud, will be joining us. Derek Weeks or Curtis Yanko of Sonatype, and Pathik Patel, I believe, also. So that’s gonna be a great panel, but, Sacha, what panel or session would you – you know, give us three sessions, if you will, that maybe you’d like to recommend to our listeners. Labourey: Well, so there’s gonna be some special tracks on finance, for example, and I think those will be very well-received. We see a big interest from specific verticals, interested in sharing expertise, right? So, you know, I was just looking before, you have the Federal Reserve Bank of New York was gonna talk about their path to DevOps, so those are pretty amazing presentation, I think. DevOpsSec – obviously, there’s gonna be your presentation, but there is more to it. DevOpsSec is – I’m not gonna be arguing with you on this – it’s a very hot topic, so quite a bit around DevOpsSec coming up. That’s very interesting. And I think, also, a lot around testing. A lot of companies are interested now in automating testing – that’s still the part that adds the most friction to their delivery pipeline – and so you’re gonna see a lot of great presentations around testing there. Labourey: Absolutely. Yes, yes. The time is now. And it’s the right time, if you’re traveling, to think about it. You have to book your hotel; you have to book your plane. So don’t wait until the last minute to do it. Absolutely. Now is the time. Shimel: Yep. One other thing I wanted to quickly mention, something I’m really looking forward to, is, like last year, DevOps.com will have a video broadcast booth set up on the show floor – we’re gonna be upgrading it a bit this year – but, on the second day, we’re actually gonna do a CEO panel, and, Sacha, you’re kind enough to join us, and we will have Rob Stroud again from Forrester there, as well as a few other CEOs. And we’re gonna do a wrap-up, really, of Jenkins World and the state of DevOps and CD and CI and where we are in the market, from a CEO’s perspective, so, for listeners, you know, that’s something – it should be up within a few days after Jenkins World. I highly recommend you listen in on that to get that CEO perspective. Labourey: Yeah, we’re gonna have some big names there, so it’s very exciting. Shimel: Yep. Should be fun. Sacha, before we wrap up, anything we left out about Jenkins World or anything else our listeners should be aware of? 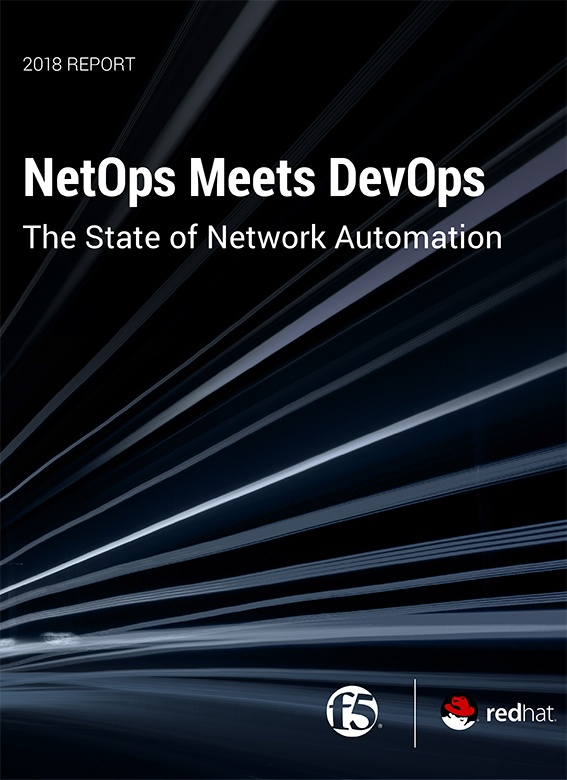 Labourey: Well, if you’re into DevOps, you can’t miss that event. That’s the only thing I wanna say. Just think about the amount of training, of workshops, the number of valid tracks you can attend. If you’re really serious about DevOps, it’s part of your job. Really, this is gonna be the conference you need to attend, so now is the time. Let’s go. Shimel: Okay. And, listeners, if you go through DevOps.com, use the code “jwdevopscust,” so that’s J-W-D-E-V-O-P-S-C-U-S-T. I’ll put it in the show notes of the thing and maybe that’ll help, but, if you do, you’ll get a 20-percent discount, and everyone can use a 20-percent discount, that’s for sure. Shimel: Anyway, hey, we’re gonna call it wrap on this episode of DevOps Chat. Sacha, thank you so much for taking time out your – I know it’s later in your day over in Europe, and we will see you in San Francisco in just a few weeks. Labourey: All right. See you there, Alan. Thanks a lot. Shimel: Okay. Sacha Labourey, CEO, CloudBees, talking to us about Jenkins World. I’m Alan Shimel for DevOps.com, DevOps Chat. Thanks, everyone, and we’ll see you soon on the next DevOps Chat.